PP stands for "post-prandial (Lat. after eating)"
How to abbreviate "post-prandial (Lat. after eating)"? The meaning of PP abbreviation is "post-prandial (Lat. 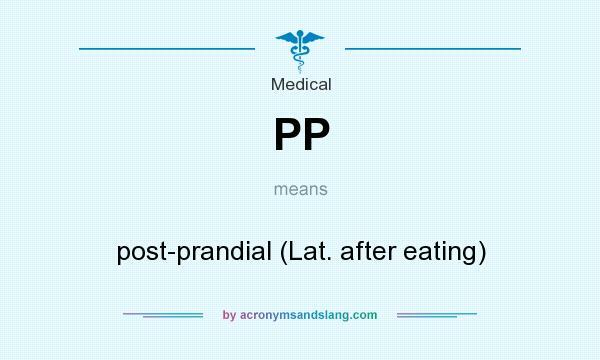 after eating)"
PP as abbreviation means "post-prandial (Lat. after eating)"